The Smokehouse in Islington is the latest venture by the king of BBQ, Chef Neil Rankin, previously of the critically acclaimed John Salt and Pitt & Cue. My last visit to John Salt proved to be a dazzling affair with the meal showcasing dishes that were not only delicious, but which demonstrated great skill and originality. Also particularly inspiring were the Korean influences incorporated into some of his creations. The Smokehouse opened in August 2013 and has similarly been well received. The Smokehouse is backed by the same group that runs The Pig and Butcher, Princess of Shoreditch and The Lady Ottoline, and so it should come as no surprise that it has a lovely gastropub feel to it. The lighting is intimate, the tables are cozily positioned and the ambience is warm and relaxed. There’s also a generous area devoted to outdoor seating, which would come in handy on those days when the sun shines bright. We started with the foie gras, apple pie and duck egg (£10) which was really gorgeous. 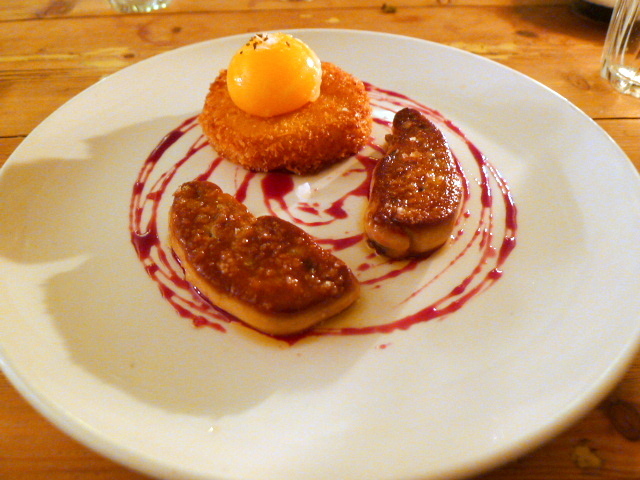 The two pieces of rich, beautiful foie gras had been expertly cooked and oozed decadently with lots of lovely fattiness. The ‘apple pie’ contained soft diced apple caked in breadcrumbs and was really nicely done. The sweetness of the apple cut through the richness of the foie gras and the crumbing gave the dish a lovely texture. The duck egg yolk perched on top of the apple pie was golden throughout and perfect. 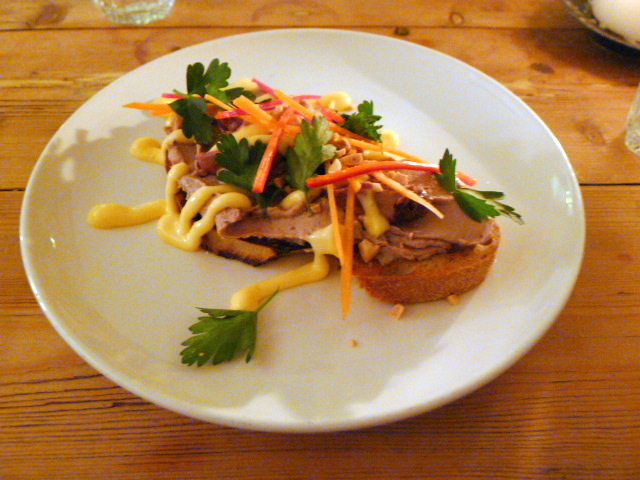 A chicken liver pâté served with a Thai mayonnaise on toast (£7) was really scrumptious. The pâté was tasty, smooth and wonderfully light, and had been topped with seared duck hearts that gave the dish a bit of bite. The Thai Mayonnaise had been enhanced with lemongrass, coriander, ginger and garlic which gave the rustic flavour of the liver an interesting twist. To finish were some finely sliced chilli and carrot, coriander leaves and roasted peanuts. To the mains, and the short ribs in a bourguignon (£17.50), slow cooked for 12 hours, fell off the bone like soft butter. 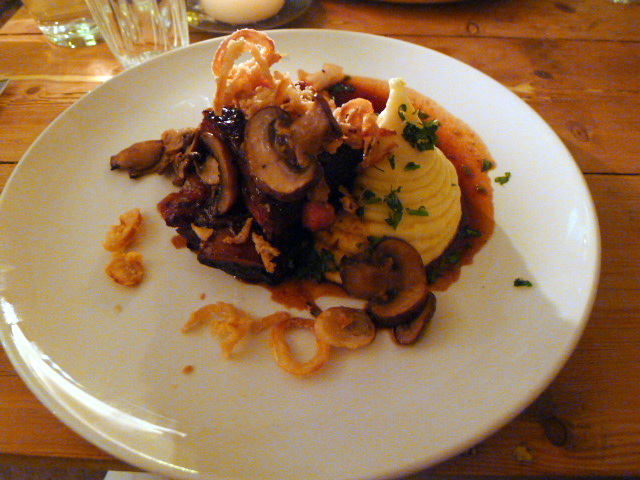 Slightly smoky, the ribs were flavoursome and tender, and the accompanying fried shallots and creamy mashed potatoes were also lovely. A red wine jus completed the dish which was tasty if rather salty. 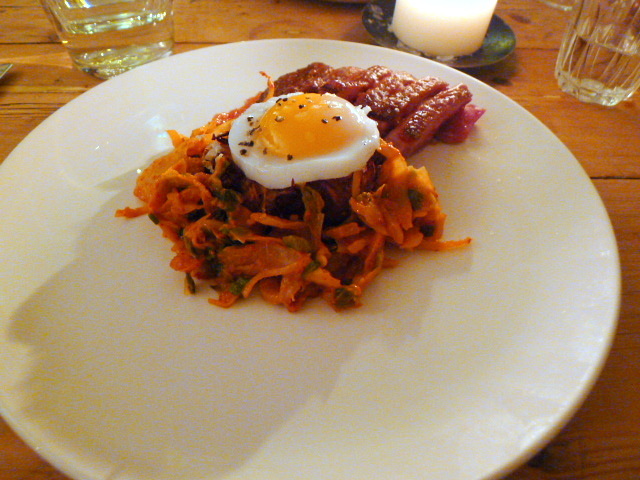 We had mixed feelings about the smoked duck with kimchi and potato cake (£19). On its own, the kimchi was punchy, spicy and really well made. But its spiciness also proved a little overpowering against the duck. The duck itself was very underdone, raw even, and also a little chewy. The potato cake was nice, but the combination with the duck and the kimchi resulted in a dry aftertaste on the palate. 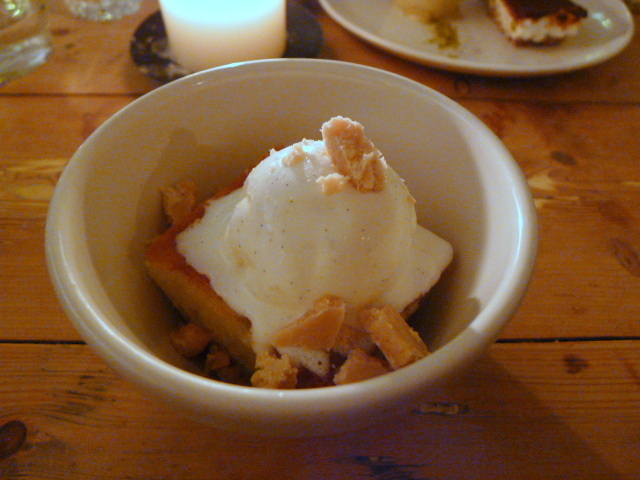 A ‘Vanilla vanilla vanilla’ (£5) consisted of a vanilla rum baba with vanilla liqueur and topped with vanilla ice cream. Served warm, the rum baba itself was soft and inviting but we found the vanilla ice cream to be a little grainy. A ‘Double D tart’ (£5) consisted of a cookie base topped with dark chocolate, nougat, and pistachios and served with pistachio ice cream. 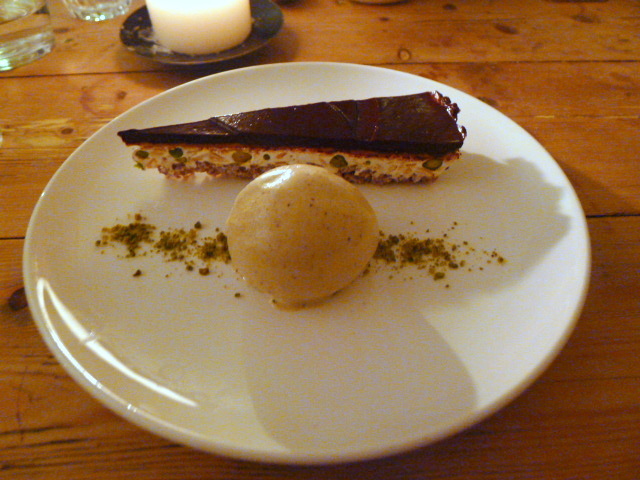 The ice cream was really nicely done and worked well with the rich, nutty flavours of the tart. We weren’t enamoured with the duck dish, but in the round The Smokehouse delivered with solid execution and bold tasty flavours. Of particular note were the really yummy starters. What’s more The Smokehouse has a great local feel to it with its rustic setting and chilled out vibe. It’s a lovely venue where one can pick up some solid grub with service that is relaxed and accommodating. What’s more, the prices are reasonable and there’s a great beer list. Prices: £24 to £36 for three courses, excludes drinks and serivce.